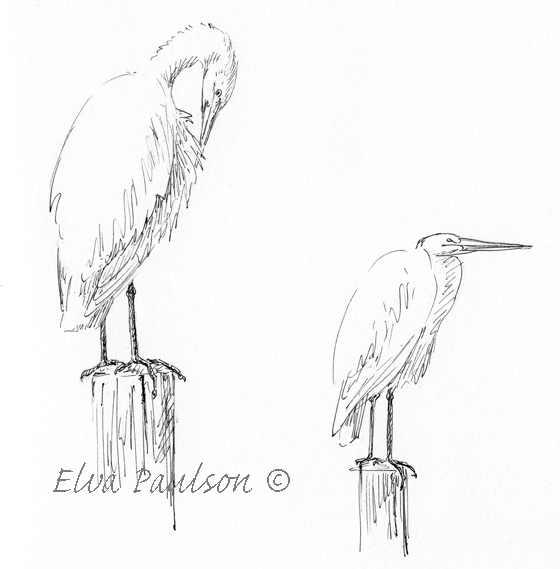 Now that winter is settling in, our egrets are back for the winter. They don't nest here, but alway come back for the easy pickings of little frogs and big night-crawlers. 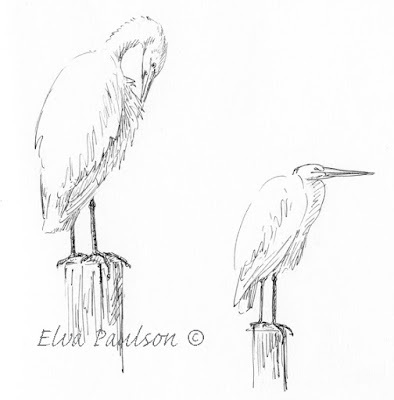 This was was sketched while it rested on a post at our local duck pond. Beautiful, Elva...I love these big birds!